The Mixxx team is proud to announce the release of Mixxx 1.7.2! This bugfix release addresses a number of issues that were discovered in 1.7.1, and is a recommended upgrade for all users. Optimize latency settings. This should improve compatibility with certain soundcards/APIs. Improved stability and error handling when loading certain songs. 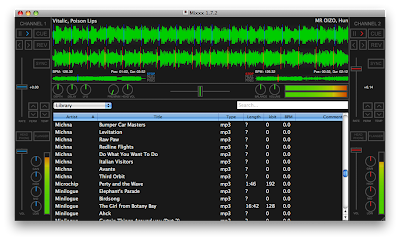 Mixxx 1.7.2 is available for Windows, Mac OS X, and Linux. Download Mixxx and start DJing! After many months of planning and development, we're finally approaching a beta release of Mixxx 1.8. Since our last release, several major new features have matured and are almost ready for public testing. Our main focus for 1.8 has been improving the library, which is a direct result of continued feedback from our users. We're also excited to have been able to address several other major feature requests, and we think 1.8 is a big step in the right direction. 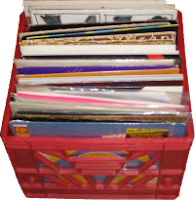 Keep your library organized by sorting your tracks into crates. Need to take a break for a few minutes? Throw some tracks into the Auto DJ playlist and let Mixxx cover you. The new Analyze view lets you peek at your recently added tracks and perform batch BPM detection. A brand new intelligent library scanning algorithm is both quick and accurate at importing new tracks when you launch Mixxx. The library scanner is even smart enough to notice when you've moved tracks around inside your library and preserves any extra metadata you've added in Mixxx like comments and BPMs. A major rework of our audio engine also brings looping to the next release of Mixxx. Running out of time to find that perfect next track for your mix? Lay down a loop and buy yourself more time. Unlike the competition, Mixxx has no limitations on the length of your loop, so you can be as creative as you want to be. Additional work on our mixing engine has lead to a new feature we call ramping pitch bend. Ramping pitch bend helps you add extra smoothness to your mixes by making temporary pitch bends accelerate rather than jump suddenly. A brand new MIDI backend completes the rewrite of Mixxx's MIDI code, the first part of which was included in 1.7 and enabled innovative new features like our MIDI scripting engine. The hot new addition for 1.8 is integrated multiple MIDI device support. 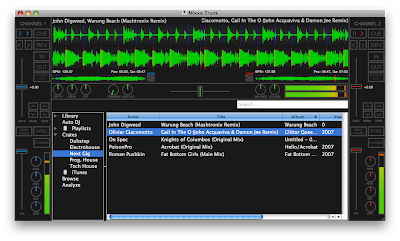 Mixxx 1.8 can playback DRM-free AAC/M4A files on Windows, Mac OS X, and Linux. On Windows and OS X, Mixxx can also now see your iTunes library and let you play tracks from it without importing them. In addition to a 1.8 beta, we're also preparing a 1.7.2 bug fix release. This release will fix MIDI on OS X and improve stability for certain hardware configurations. 2009 has been an exciting year for Mixxx, and 2010 is shaping up to be even better. As the year closes, we'd like to thank all of our generous contributors and supporters. We hope you're looking forward to next year as much as we are!